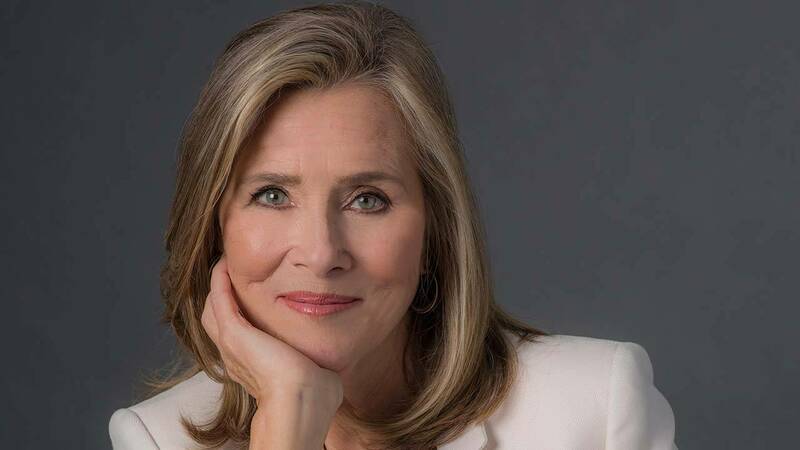 ARLINGTON, VA; March 28, 2018 -- PBS announced today that television personality and journalist Meredith Vieira will host THE GREAT AMERICAN READ, a new eight-part television series launching on PBS stations with a two-hour special event on Tuesday, May 22, 2018 at 8:00 p.m. In THE GREAT AMERICAN READ, Vieira will take viewers on a journey across the country to uncover the nation’s 100 most-loved novels, the people who love them and their authors. Meredith Vieira is a 14-time Emmy Award-winning host, executive producer and anchor. Most recently, she served as executive producer on the award-winning documentary TOWER. Vieira hosted and served as executive producer on her own nationally syndicated daytime talk show, “The Meredith Vieira Show,” which premiered in September 2014 and ran for two seasons. Previously, she received critical acclaim for her hosting of “Who Wants to Be a Millionaire,” “The Today Show” and “The View.” Early in her career, Vieira spent more than a decade at CBS News, garnering five Emmy Awards for her work as an editor on the news magazines “60 Minutes” and “West 57th.” Vieira founded and is CEO of Meredith Vieira Productions, which develops and produces film, television and theatre. A native of Providence, R.I., Vieira received a Bachelor of Arts degree from Tufts University in Medford, MA. She has three children, Ben, Gabe and Lily, with her husband, best-selling author and journalist Richard Cohen. Nutopia, a leading television production company creating award-winning, premium content on a global scale. Founded in 2008 by Jane Root, former President of Discovery Channel US, Controller of BBC2 and co-founder of Wall to Wall TV, Nutopia innovated the “mega doc” model, blending huge-scale history series and high-profile talent from the worlds of documentary and drama. Nutopia has become synonymous with creating high-quality content that stands out from the crowd, working with some of the most prominent global broadcasters including Netflix, CNN, National Geographic, the BBC, PBS and A+E Networks. Critical successes include the Emmy Award-winning series How We Got To Now and Emmy Award-winning series America The Story Of Us. Upcoming projects include National Geographic’s 10-hour flagship factual event One Strange Rock, and the landmark art-history series Civilizations for BBC and PBS, and Babies for Netflix.